Home maintenance can be simple to forget when during our daily lives, but it is critical to make time for safety-related tasks. Simple tasks like installing and maintaining carbon monoxide alarms only take minutes, and are crucial to keep residents safe from harm. 1. Invest in light timers. Installing light timers for lights inside and outside your house can give the appearance of being home, whether you're away on vacation or you've stepped out for the night. Timers only take minutes to install and can make a world of difference when viewed from the street. By using a light timer instead of leaving a light or two on when away, you can save energy and money while still deterring any potential thieves. 3. Install carbon monoxide alarms. Known as "the silent killer," carbon monoxide (CO) is an odorless and colorless gas, making it impossible to detect without a CO alarm. The National Fire Protection Association (NFPA) estimates there are more than 80,000 incidents per year. The most important step is to have CO alarms in your home - and enough of them. CO alarms should be installed on every level of the home, including the basement, and in all bedrooms or sleeping areas. CO alarms should be battery-powered or hardwired with battery back-up. 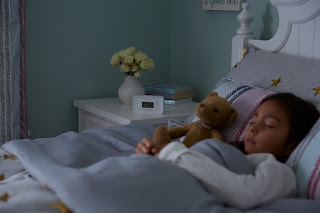 First Alert offers a variety of alarms to help ensure your family is protected, including a tabletop alarm with a 10-year sealed battery and digital display to see detected levels in parts per million. 4. Store valuables. Having a safe at home can prove a wise investment when it comes to natural disasters. Through fire or flood, a safe can help protect important documents, family photos and keepsakes, as well as jewelry and other valuables. For the ultimate protection, look for a safe that is both fire resistant and waterproof (not just water "resistant"). Be sure to stow the combination in a secure place and share it only with trusted family members and friends. 5. Establish a family emergency plan. Knowing - and practicing - what to do in the event of an emergency is important. Ensuring loved ones are prepared for a fire, and know to call 911 and where to meet outside the home, is crucial. Other incidents may occur as well when you need to be prepared to stay in the home, such as a natural disaster or power outage. Having a plan in place for what to do if such an event occurs, and knowing where in your Keller home is the safest location, can be critical if an incident occurs.